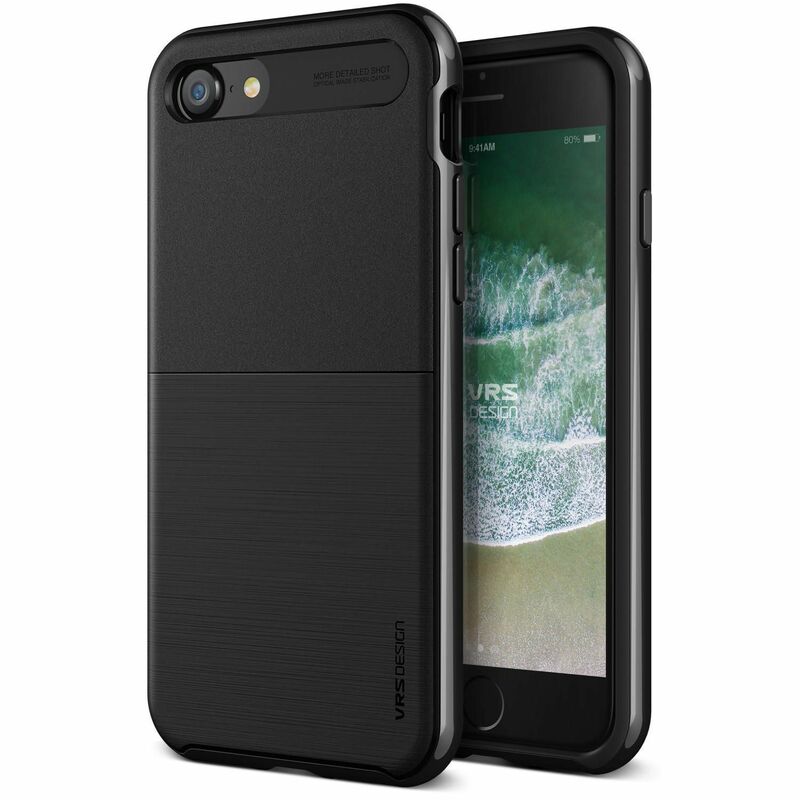 Vrs Design High Pro Shield Case for iPhone 8/7 - Slim and lightweight construction that provides the maximum protection for your iPhone 8 by using Air Space Technology. VRS Design High Pro Shield for iPhone is constructed from a high-grade TPU and Polycarbonate. The ultra-modern brushed matte-black finish blends durability and style. Also, a perfectly constructed PC bumper accentuates the original design of the phone. • Slim and lightweight construction that provides the maximum protection for your iPhone 8 by using Air Space Technology. • The perfectly constructed PC bumper accentuates the original design of the phone.